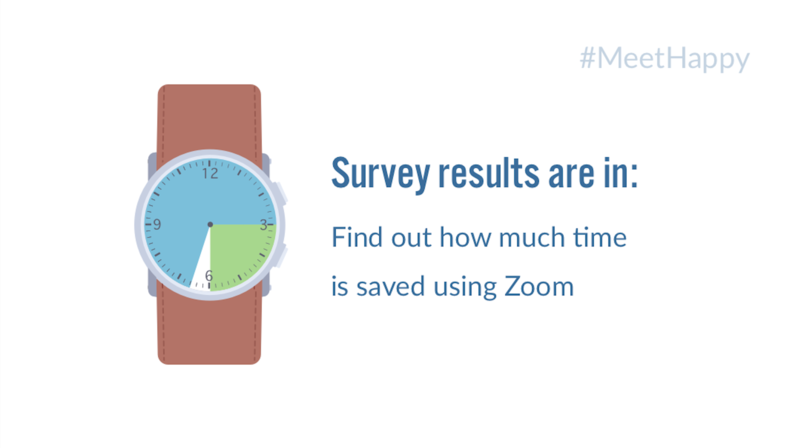 One thing our customers love about Zoom is how much time it saves them and their teams. Looking at join times may seem silly, but it’s something that gets us and our customers really excited. Zoom makes starting and joining meetings frictionless. With one click you’re in with video and audio from anywhere – from your desktop, mobile device, conference room, or even your car with Apple CarPlay. But how much time does Zoom really save? 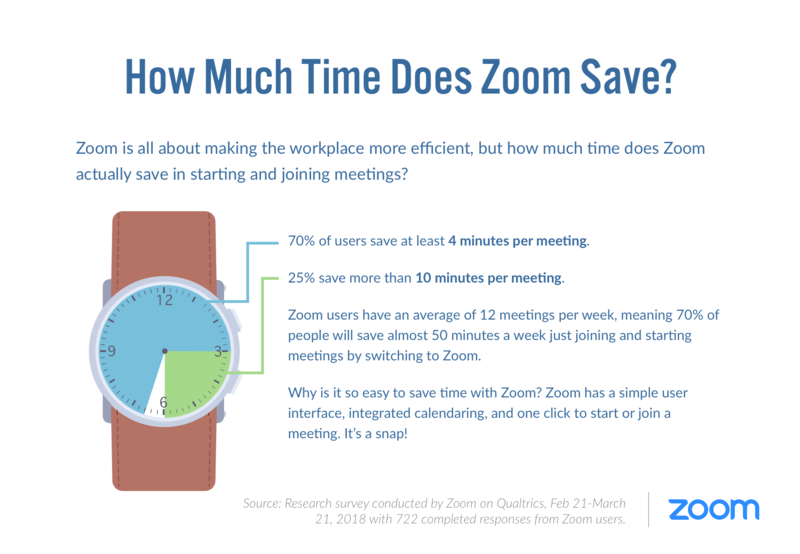 We recently conducted a user survey to find out exactly how much time over traditional meeting solutions our average customer saves by using Zoom. Check out this infographic to find out! Want to save employees’ time at your enterprise? Sign up for a 1-on-1 live demo with a Zoom specialist today!